Geometric Designs including Parquetry & marquetry, can be faux painted by using wood graining techniques to simulate various exotic and common woods, many types of stone & marble, even the use of gold to simulate brass inlays. All can be painted to match or accentuate various decors. 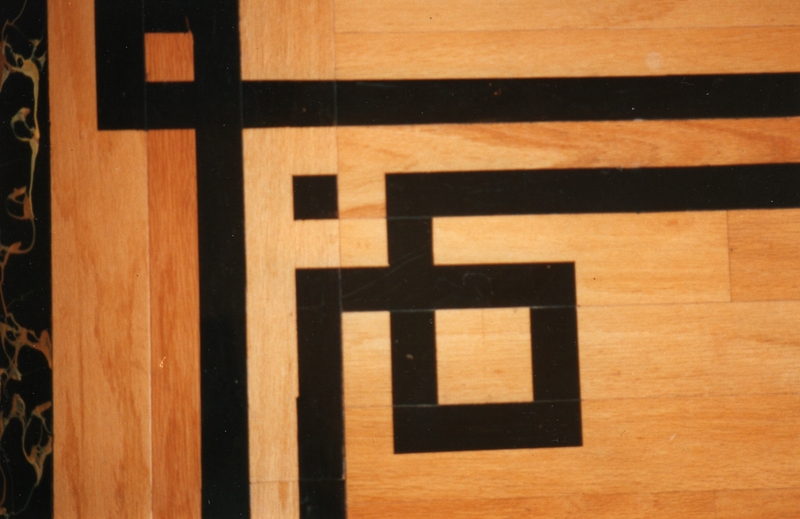 There are a limitless number of possibilities when it comes to patterns & designs, especially having the ability to create any combination of materials in the design itself, making it truly a "CUSTOM-1-OF-A-KIND" Inlay Faux Painted Floor.